Whether you’re looking for a spacious apartment fit for a family, you and your roommate are looking for something convenient and cozy, or you’re a single professional looking for an upscale place to center yourself each day, Summermill at Falls River is the place you’ve been searching for. Our garden-like setting is located in a convenient area next to all the best places in Raleigh, from restaurants and shops to entertainment venues and parks. We offer a variety of one, two, and three-bedroom Raleigh apartments that are filled with extraordinary features and amenities. 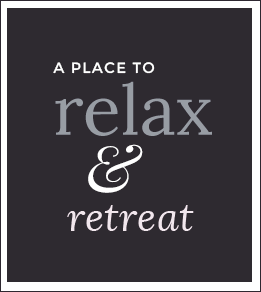 From the in-home cozy fireplaces, granite countertops and gourmet kitchens to our refreshing pool, fitness center and on-site dog park, you’ll always be surrounded by tasteful, high-end sophistication. Discover all of the benefits that are yours to enjoy – right in the convenience of your own pet-friendly community. Give us a call or stop by our leasing office and see for yourself what affordable luxury living in Raleigh, NC apartments is all about. Renovated interiors, luxurious amenities, convenient elevators, spacious layouts and designer details – you’ll find it all here at Summermill at Falls River! 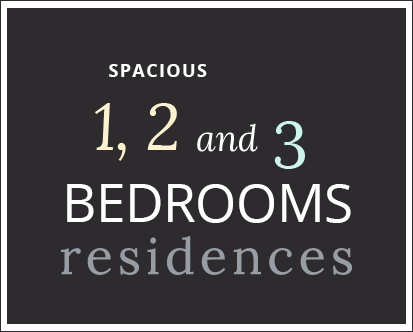 We have a variety of floor plans available with one, two, or three bedrooms, each of which has been designed to offer premium comfort, style, and convenience! Ranging in size from 752 sq. feet to 1,467 square feet, our apartment homes offer plenty of tasteful extras and sophisticated additions to suit your needs as well as your tastes. Our luxurious Raleigh, NC apartments for rent have features and amenities you won’t find at other nearby rental complexes; in fact, our floor plans offer a unique and well-rounded variety of styles, features, and upgrades – so we’re confident that our apartments truly have something for everyone. With private patios and balconies, spacious walk-in closets, oversized living areas, vaulted ceilings, fully equipped kitchens and more, our apartments in Raleigh, NC set the bar for modern upscale rental living! Browse our floor plans and contact our staff to schedule a personal tour of our stunning community today. Sophistication meets convenience at Summermill at Falls River. Our community has been designed with your needs in mind: convenience, comfort, and a great location. With amenities and features that have all been thoughtfully chosen, our apartment homes are not only affordable, but also luxurious. Our garden-like setting, swimming pool, and tree-shaded walkways enhance the relaxed, serene vibe of the community while the clubhouse, fitness center, and on-site dog park have an excitement and energy all their own! Elevators make accessibility a breeze and provide peace of mind. The ample amount of living space isn’t the only wonderful feature of our luxury apartments in Raleigh, NC; inside you’ll find plenty of tasteful extras that make coming home each day a true joy. The stylish fireplace, crown molding, and gourmet-inspired kitchens give the interior a great designer feel that enhances every décor choice. You’ll also find a washer and dryer, walk-in closets, stainless steel appliances, wood-style flooring and lush carpeting – and that’s just the beginning. Whether you’re a single professional seeking a large amount of personal space or a family that needs to expand into one of our three-bedroom apartment homes, you’ll find everything you need at Summermill at Falls River. Contact our friendly, professional staff today. More than just a place to live--offering daily relaxation and revitalization, Summermill at Falls River Apartments are a complete living experience. Summermill at Falls River is located in an area that is surrounded by plenty of recreational beauty, yet is still close enough to the most popular destinations in Raleigh. In addition, our residents are able to take advantage of our close proximity to I-440 and I-540, which give easy access to Raleigh’s neighboring cities. Neuse River Trail and Pullen Park are in the neighborhood, too! With Raleigh being a city of Southern hospitality and rich history, the capital city of North Carolina has much to offer its locals – and Summermill at Falls River is near it all. Our neighborhood is home to unique restaurants and dining establishments, shops, boutiques, entertainment venues, and much more. We’re within easy distance of business centers, schools, public transportation hubs, and medical facilities. Now you can enjoy upscale living in an ideal neighborhood that’s central to everything you need for the everyday. Contact us today to learn more about Summermill at Falls River Apartments in Raleigh, NC. 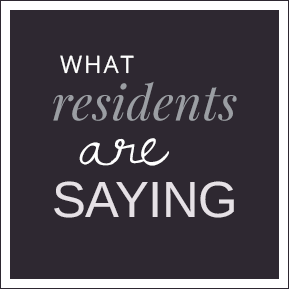 Take a look at why our residents love living at Summermill At Falls River Apartments. Thank you for your interest in Summermill at Falls River! Our on-site staff would be happy to answer your questions, check availability for you, and give you a personal tour of our community. With an exceptional array of amenities and features, a convenient location, and all the advantages of an upscale community, Summermill at Falls River has something for everyone! From our fitness center, swimming pool and elevators right down to the modern appliances and designer finishes in every apartment, the features we have to offer you provide the quality lifestyle you deserve. Don’t wait another day to discover everything that our apartments for rent in Raleigh, NC have to offer; contact our staff today via our brief contact form, by phone, or stop by our office. We look forward to hearing from you! $300 OFF Look and Lease Special on vacant 3 bedroom apartment if you apply within 48 hours of your initial tour! Contact our leasing team today!